Last year, nearly 1,300 Floridians filed insurance claims after being bitten by dogs – the second-most in the country, according to the Insurance Information Institute and State Farm. Dog bites are serious business; they hurt people and animals. Plus, they cost a lot of money. 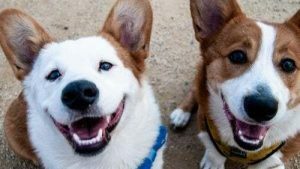 What’s particularly heartbreaking for dog lovers like myself is that so many of these dog bites can be prevented. And when they aren’t, they cause suffering for everyone. Not only are humans hurt, but also often dogs are put down. A life is lost, and families are broken forever. This week is National Dog Bite Prevention Week. More than one in three U.S. households have a dog. And it’s important that everyone – especially pet owners and parents – know how to prevent bites. Nationwide, there’s a lack of knowledge resulting in far too many bites. Every year, more than 4.5 million people are bitten by dogs in the United States, according to the American Veterinary Medical Association. Roughly 20% of those people require medical attention, according to the Centers for Disease Control and Prevention. Those bites can cost quite a bit of money, too, from medical expenses to homeowners’ insurance payouts. Insurers paid out more than $56 million for dog bite claims in Florida last year. Nationwide, dog bite claims cost a whopping $674.6 million. How many of those bites could be prevented if folks knew how to interact with dogs to minimize the likelihood of an incident? There are certain tips that should be second nature for dog owners. For starters, owners should socialize their dogs as young puppies so they’re more comfortable around kids and other animals. Dog owners should always know where their pets are, and if they’re around children. Dog owners should never leave their animals alone with small children. Owners know their canines best and can monitor their mental state around new people, especially kids. New people and places can be distressing, and dogs are more likely to bite if they’re agitated. A dog’s mental state is key, and regular exercise – including trips to the dog park and walks around the neighborhood – can ensure that dogs are happy, active, and at ease. Additionally, dogs should regularly get check-ups at the vet, to ensure that they’re not sick. Dogs that are sick or injured are more likely to bite than those that are healthy. And of course, they should always make sure that their dog is comfortable with new people before they pet their dog. It’s not just pet owners who can benefit from knowing how to prevent dog bites. Parents should instruct their children on how to act around dogs. After all, children are more likely than adults to suffer a dog bite. It starts with teaching kids when and how they should approach dogs. Unknown dogs or dogs without their owner are a no-go. And when the owner is there, kids should always ask permission before petting. If a kid finds an injured animal, they shouldn’t approach it, but find an adult who can help. Let kids know that dogs don’t want to be interrupted all the time – especially when they’re eating, sleeping, or nursing puppies. Additionally, while it’s fine to pet and play with dogs, kids should be taught to never poke, hit, pull, punch or tease dogs. Dogs bring immeasurable joy and numerous benefits to their families– that’s why dog ownership is so popular! During this week, let’s remember how we can reduce the rate of dog bites and save both people and animals. Robin Ganzert, Ph.D., is the president and CEO of American Humane. RobinGanzert.com is copyright 2018, Robin Ganzert. All rights reserved.